The aim of the Mathematics Curriculum is to develop students’ mathematical thinking, questioning understanding, competence and confidence in the application of mathematics. The Mathematics Curriculum is divided into 6 strands. 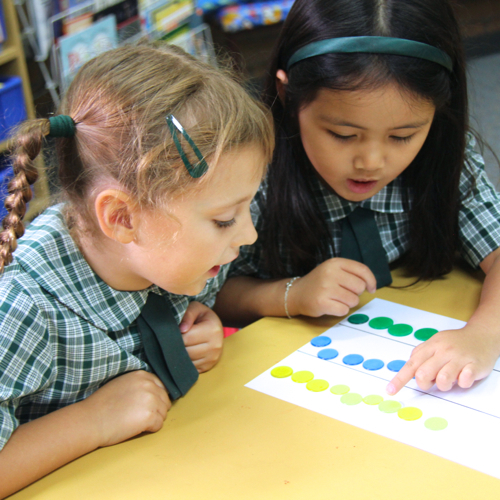 Working Mathematically processes assist students to develop problem solving strategies, including questioning, communicating, reasoning and reflecting.